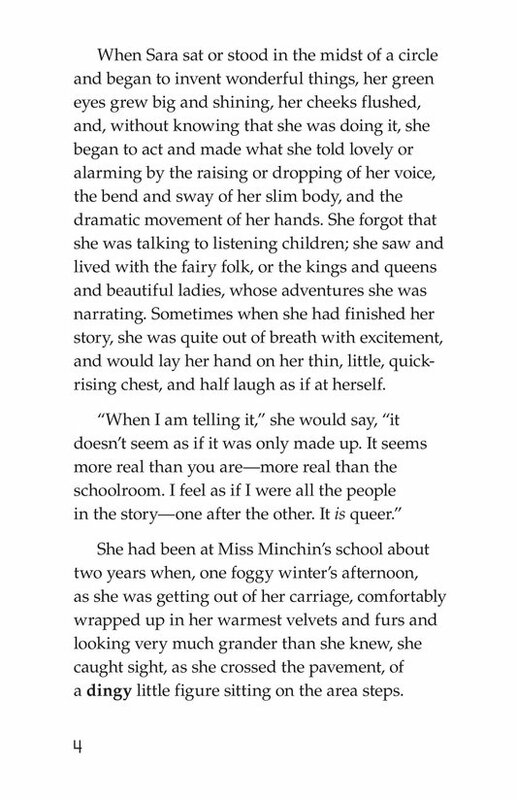 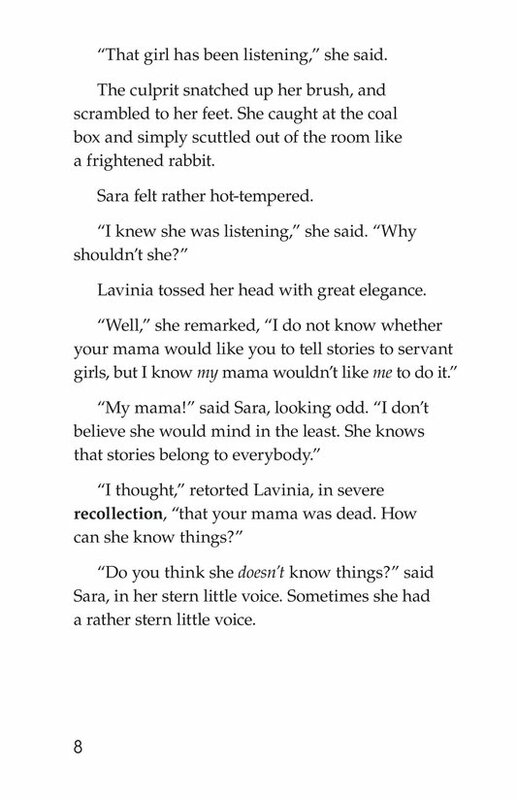 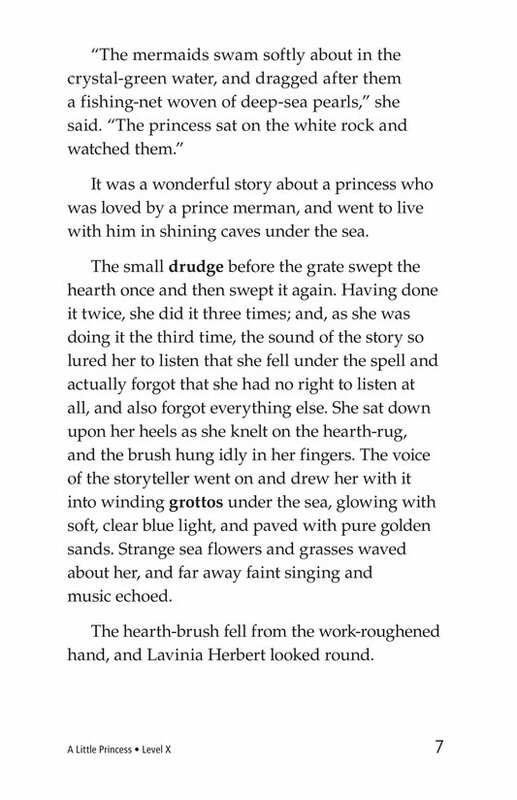 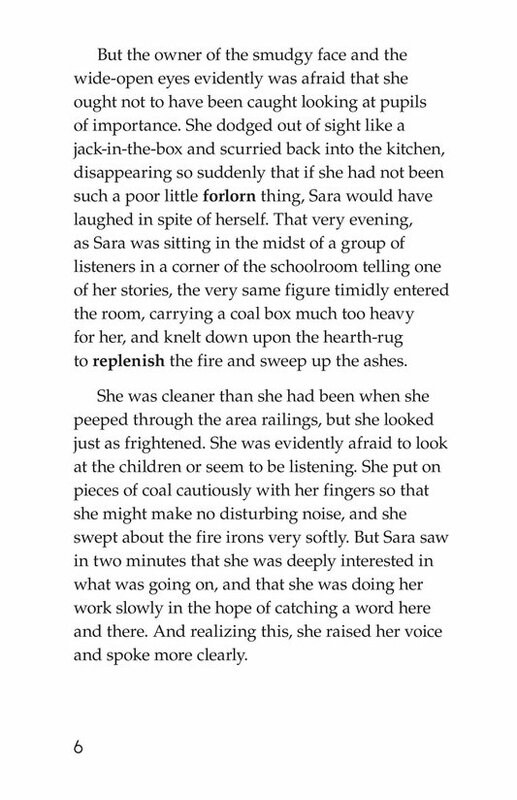 Sara is a natural storyteller, with an ability to invent tales of all kinds. 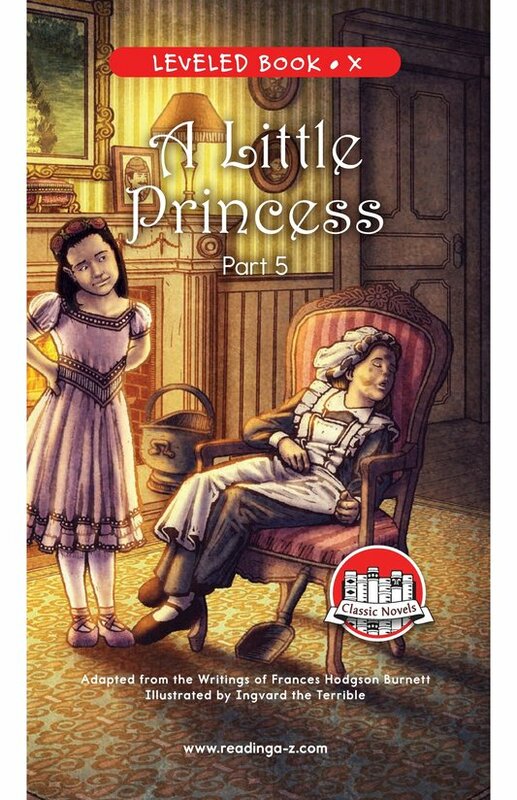 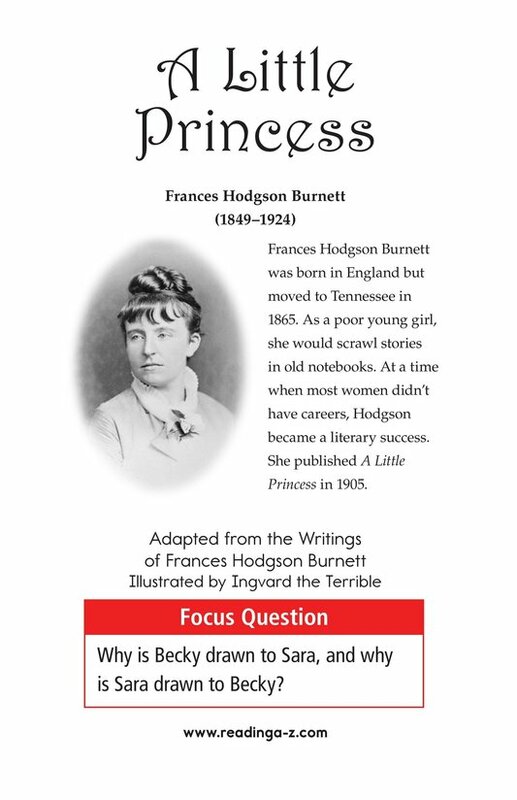 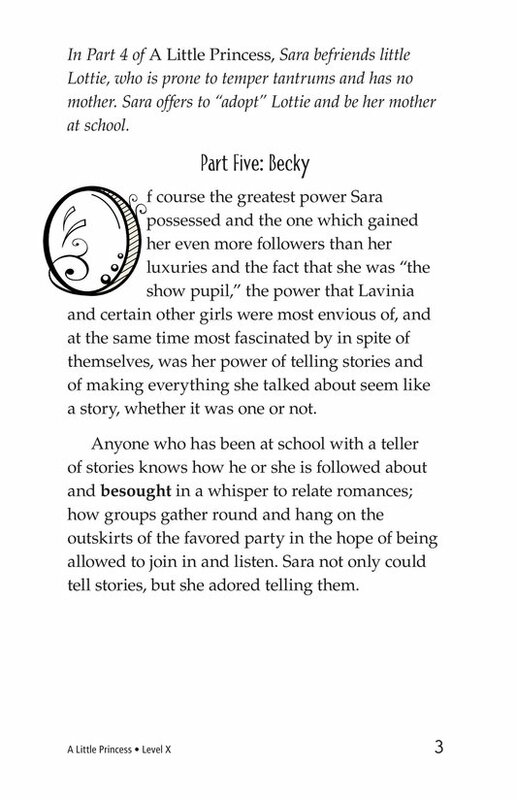 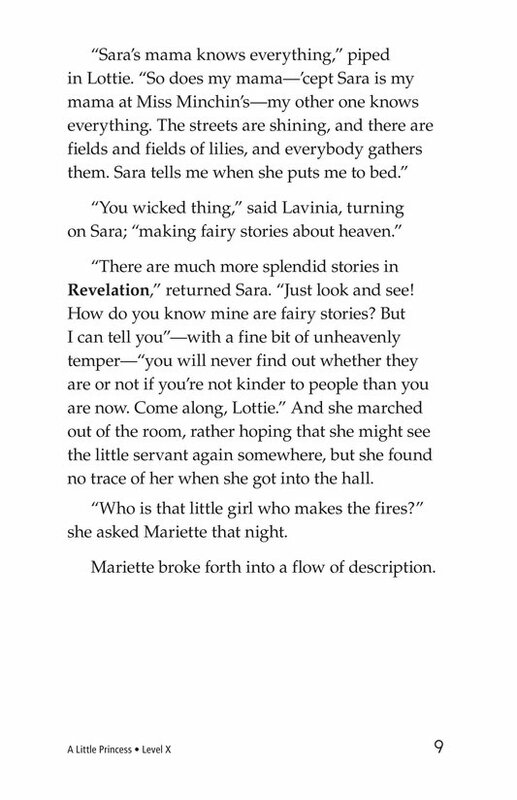 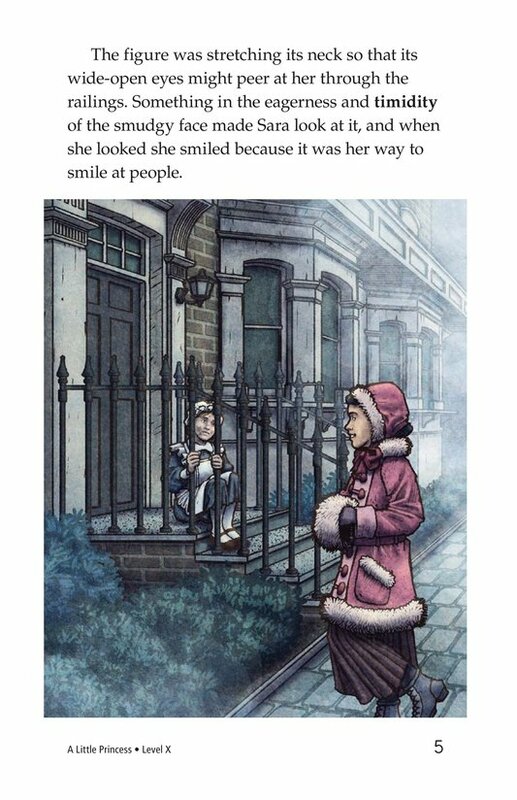 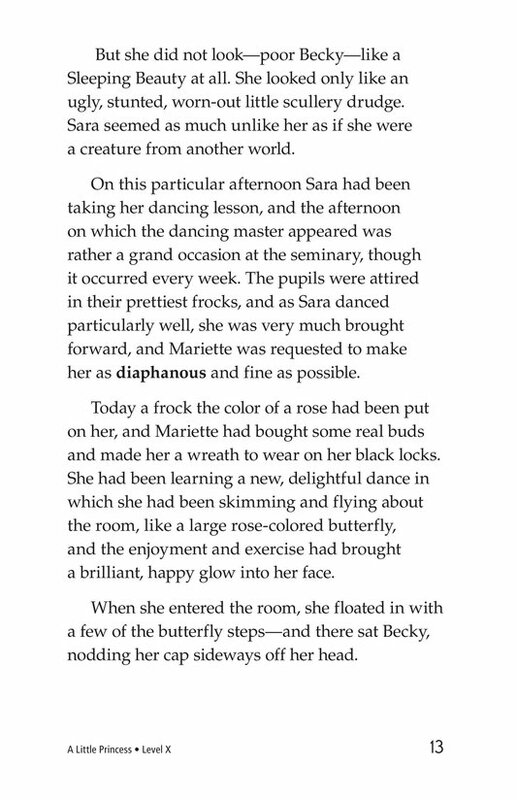 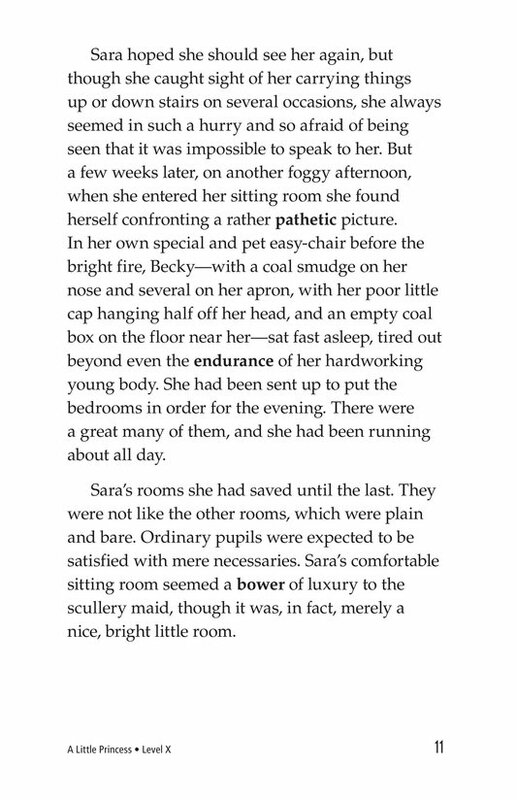 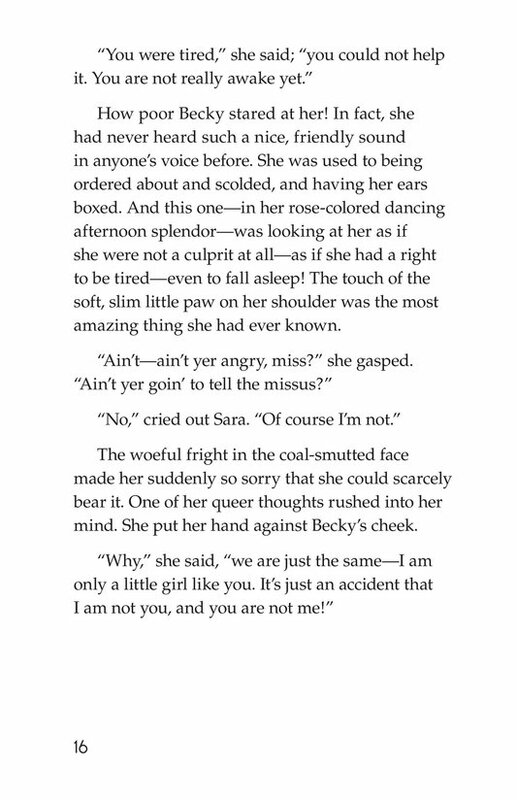 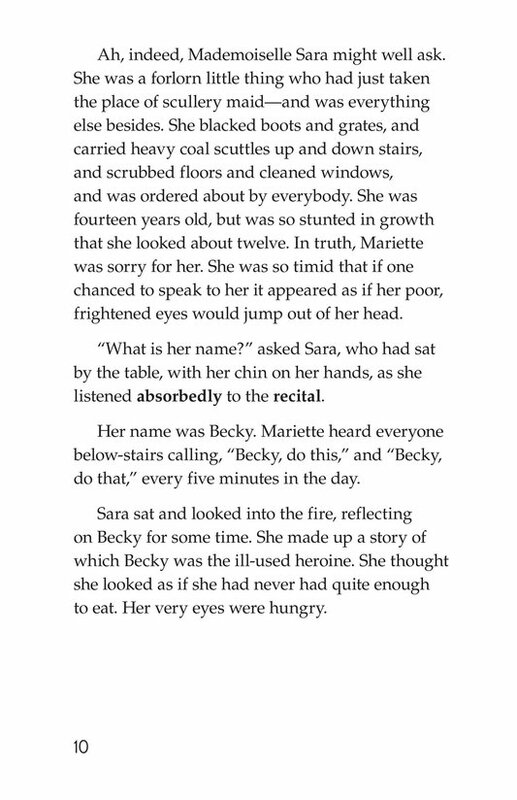 One day, while Sara sits spinning a yarn in her room for the other girls, she notices a scullery maid, Becky, slowing her work in order to listen. 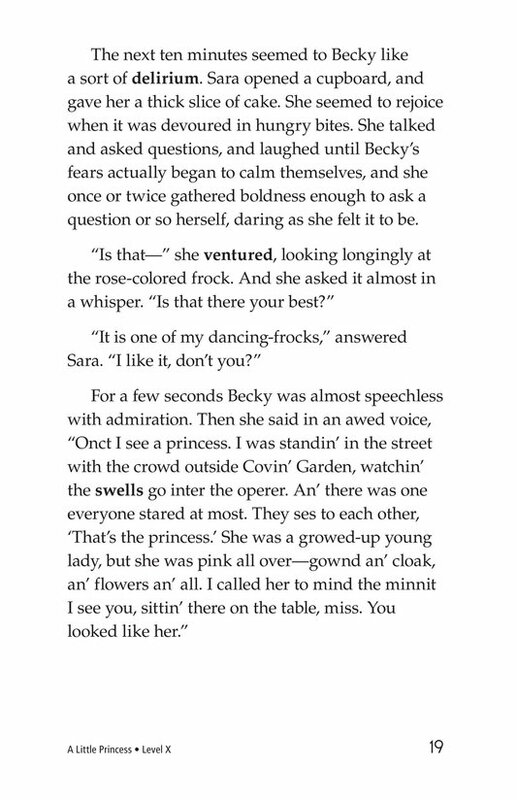 Sara feels instant compassion for the girl. 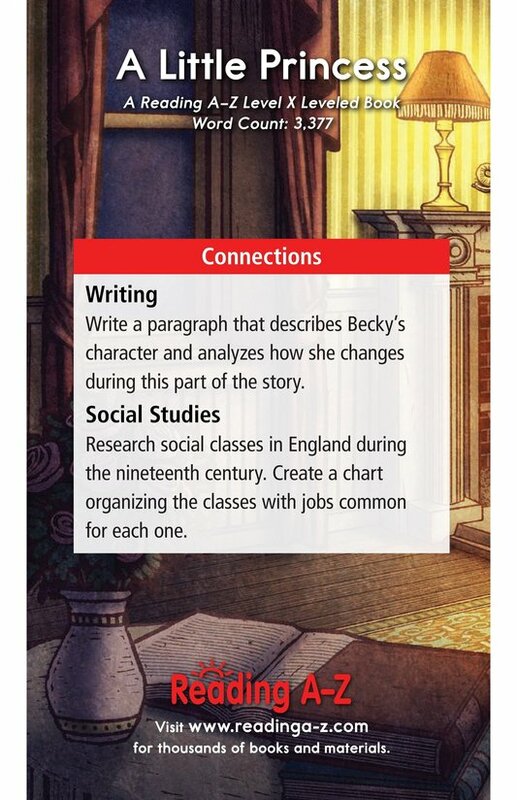 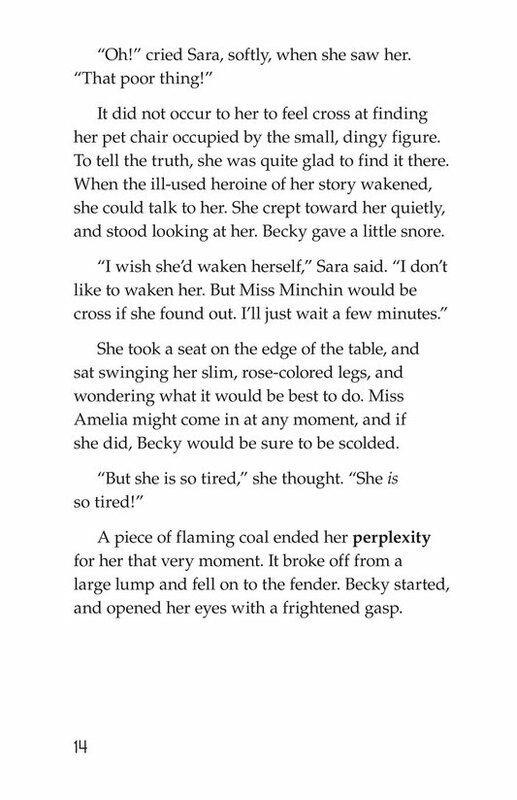 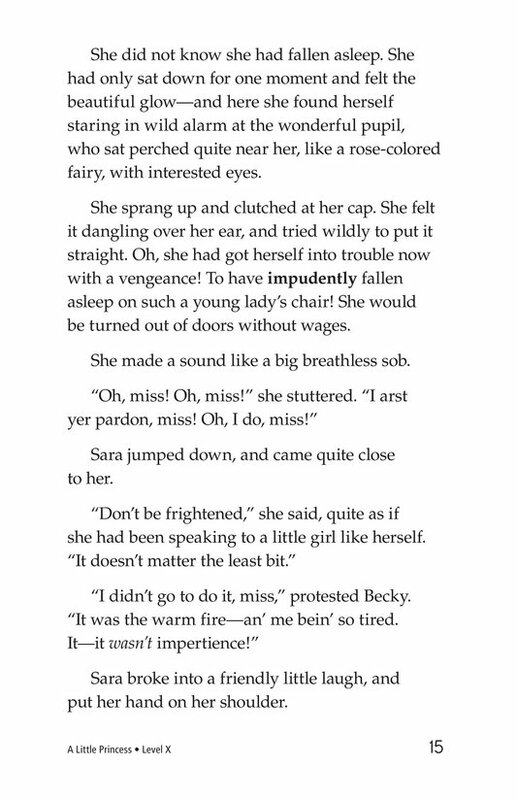 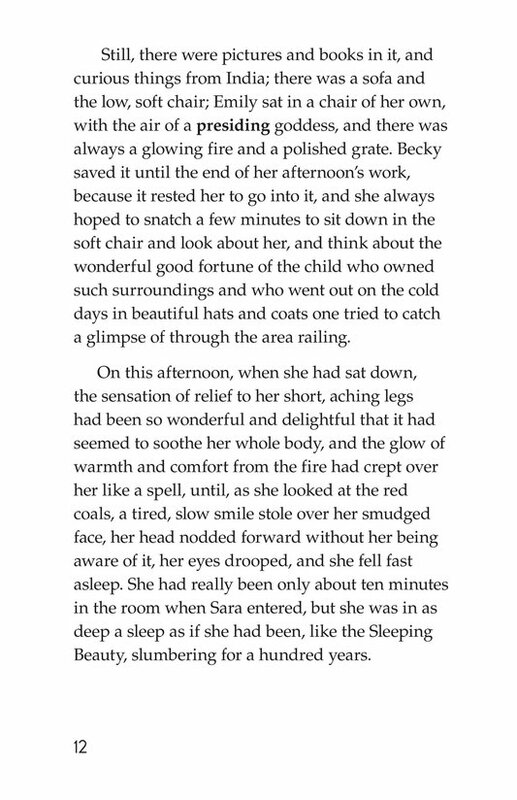 A few days later, Sara finds Becky asleep in her armchair, in front of the warm fire, exhausted from her labors. 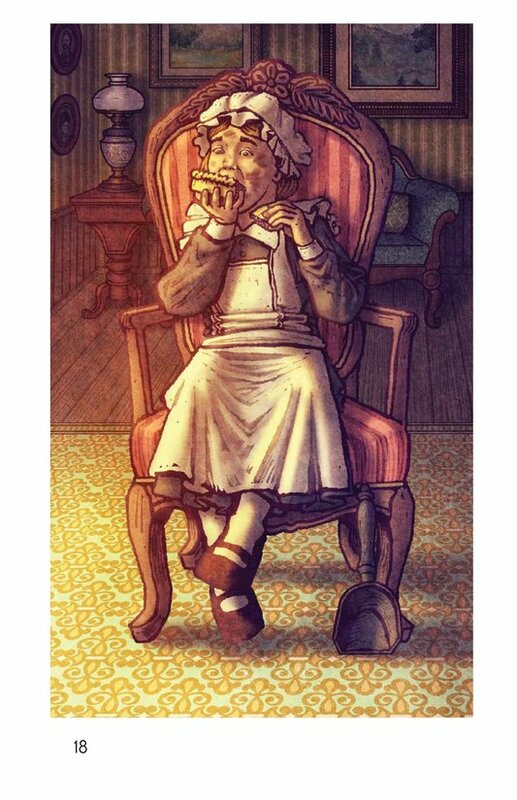 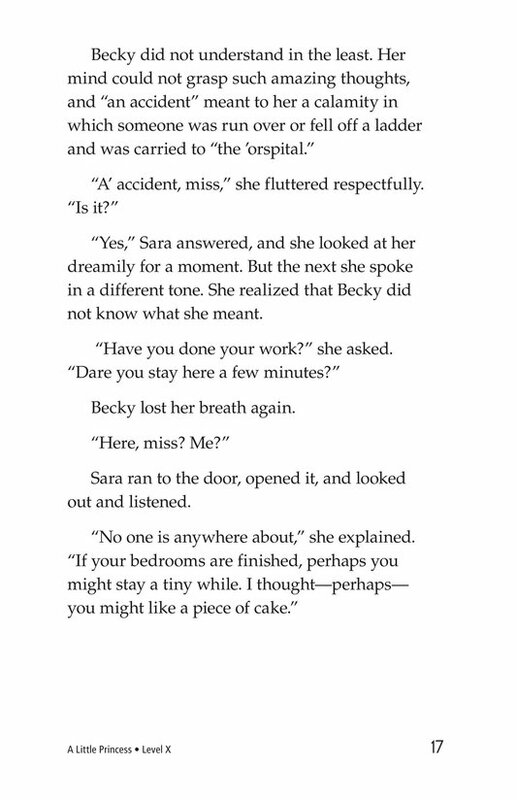 When Becky awakes, Sara speaks kindly to her and feeds her cake. 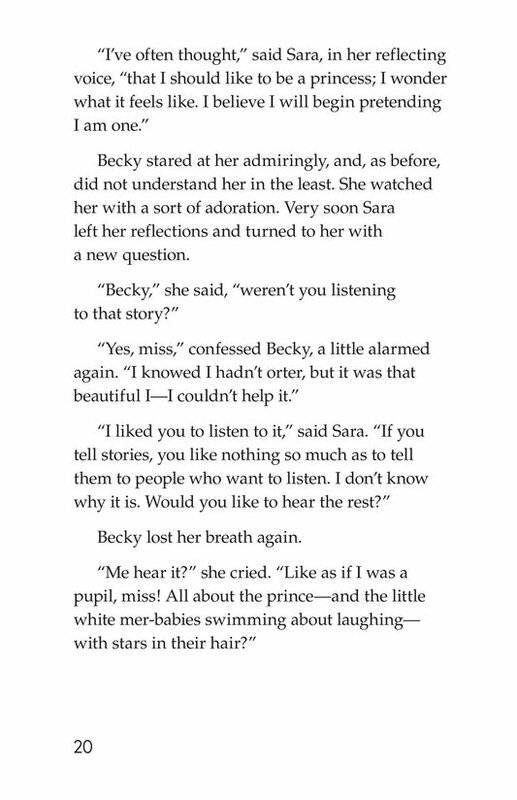 She tells Becky that if she comes to her room again, Sara will tell Becky another story.